Avid Press, LLC, 9781944665302, 276pp. Paris, 1900. The height of the Belle- poque: decadence, wealth, hedonism...and murder. Homicide investigator Guillaume Devr stands for the silenced victims, bound to seek justice as he makes his way from the wide boulevards frequented by the tout-Paris to the narrow byways of Montmartre, to the shadow of the Tour Eiffel and the lush elegance of Maxim's. When the most famous courtesan in Paris becomes the prime suspect in the death of a wealthy young man, Inspector Devr is reluctantly drawn into the opulent parlors and witty manners of high society. As the investigation unfolds, he must contend with a bloodthirsty press and the outrageous behavior of his suspect...as well as his own prejudices and unfulfilled needs. Devr soon realizes that solving this murder could expose him and his darkest secret. 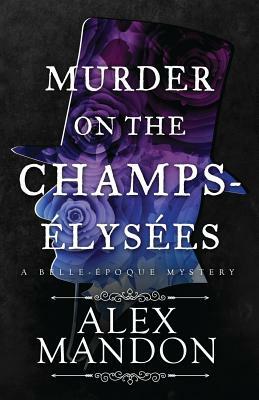 Murder on the Champs- lys es is the first in a new series featuring Inspector Guillaume Devr , a homicide detective from la S ret who lives a secret life on the fringes of respectable society, the powerful courtesan known as La Balise--with secrets of her own--and the gruff but brilliant American pathologist Dr. Jackson.
" The] characters are so human and absorbing they will follow you past the solution of this compelling and cleverly unique detective novel. This book consumed me, and though I read it weeks ago, I am still unable to let it go." "Alex Mandon sets this forward-thinking mystery in a lush historical setting that unveils all the opulence of the era. Tightly plotted and evocative "